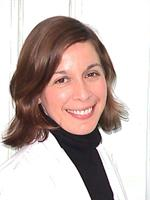 Directory > Providers > Alternative Medicine > Acupuncturist > MA > Arlington > Kate Ruma, MAOM, Lic.Ac. We have a history of successfully treating chronic aches and pains, sports injuries, infertility, digestive disorders, headaches, allergies, asthma, symptoms of PMS and menopause and much more. Our acupuncturists are licensed by the Massachusetts Board of Registration in Medicine, are certified by the National Commission for Certification in Acupuncture and Oriental Medicine, and have Masters in Oriental Medicine. Together they have over 15 years experience treating patients with acupuncture and Chinese herbal medicine. Office Staff Brette Luck, Lic.Ac. Services Kate Ruma, MAOM, Lic.Ac. is an Acupuncturist or Acupuncture office in Arlington, MA. Call Kate Ruma & Associates Acupuncture at (617) 372-3960 for a detailed description of the services offered. Acupuncturist like Kate Ruma, MAOM, Lic.Ac. offer services that often include facial renewal acupuncture, cupping, moxibustion, Gua Sha, Zen Shiatsu, Chinese herbal formula, herbal medicine, smoking cessation and Traditional Chinese Medicine (TCM). Talk to the staff at Kate Ruma & Associates Acupuncture for information about your acupuncture needs in Arlington, MA.